We will be at the launch of the new Hide and Seek Market on Saturday 25th July at Kellyville. 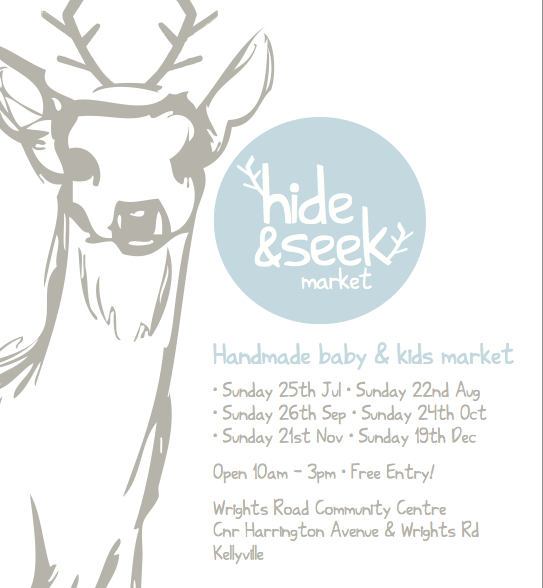 It looks like it will be a fantastic market to buy handmade products for kids so come along and say hi. For more details go to the Hide & Seek blog.